AFC Leopards recent poor form has left many probing why the former giant has sunk so low. Out of 11 fixtures, the 12-times Kenyan champions have managed a paltry two wins, four draws and a whopping five loses. Their most recent loss was against fellow strugglers Mt. Kenya United, who edged them out 2-1 on Wednesday in Machakos. Alot of theories have been advanced in trying to explain the embarrassing form with match fixing, a hot topic in Kenya currently, emerging prominently mostly on social media. A section of Ingwe faithful believe that some players collude with certain club officials to throw away games by engaging in illegal betting. The claims have not been proved and Kamura has vehemently denied them. “No player is happy that the team is losing so please stop those match fixing claims,” the former Mathare United defender said when he was put to task by fans who demanded to know why they are performing poorly. “You can go confirm our phone numbers or those are our people with SportPesa if they are used for betting. We can not engage in such things,” he added. According to the player Leopards’ main undoing is lack of a proven goal scorer. “For the three years I have been with this team we have not had a striker who we are sure will deliver a goal in every game. 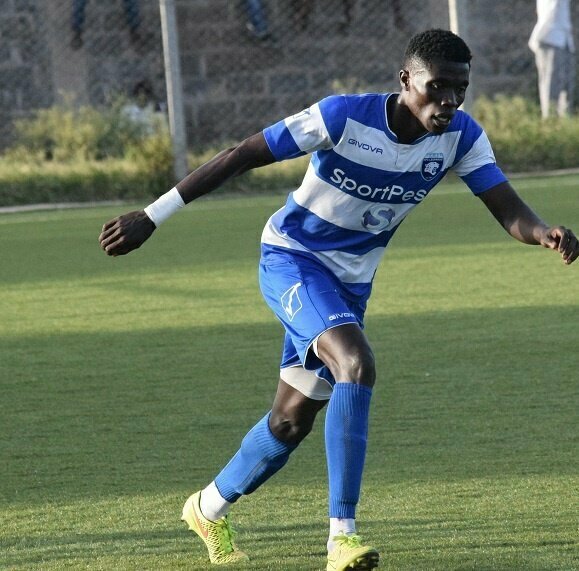 Leopards have lost their last three games with the heaviest defeat coming against Bandari who hammered them 4-1 on Sunday. The big loss led to Serbian coach Marko Vasiljevic throwing in the towel. The team is currently dangling over the danger-zone in the KPL standings with 10 points from 11 games. They next face their arch rivals Gor Mahia in the Mashemeji Derby on Saturday at the Kasarani Stadium.